يقع فندق Country Comfort Amity Motel، المصمم ليناسب كل الضيوف سواء كانوا من رجال الأعمال أو السياح، في مكان ممتاز في أحد أكثر المناطق تفضيلاً في هذه المنطقة. يسهل الوصول إلى هذا الفندق ذو 4 نجوم من المطار، فهو يبعد عنه مسافة 10 km فقط. كما يمكن الوصول بسهولة إلى عدة معالم سياحية قريبة. كما يقدم Country Comfort Amity Motel الكثير من الخدمات لإغناء رحلتك في المدينة. يمكن للنزلاء الاستمتاع بالميزات التالية: واي فاي مجاني في جميع الغرف, خدمة التنظيف يوميًا, مدفأة, خدمة غسيل ذاتية, مجهز لذوي الإحتياجات الخاصة أثناء إقامتهم في هذا المكان الرائع. ادخل إلى واحدة من الغرف 41 وتخلص من عناء نهار طويل بمساعدة مجموعة كبيرة من الخدمات كمثل تلفزيون بشاشة مسطحة, قهوة فورية مجانية, شاي مجاني, بياضات, مرآة الموجودة في بعض الغرف. يمكنك طلب اللائحة الكاملة للخدمات في الفندق ومن بينها مركز للياقة البدنية, حمام سباحة خارجي, كرة الطاولة, حديقة, غرفة ألعاب. يشكل Country Comfort Amity Motel بخدماته الراقية وموقعه الممتاز، قاعدة مثالية للاستمتاع بإقامتك في المدينة. Looked much better and more modern on website... paint peeling from ceiling in room, contractors making a big noise early in morning with no warning on balcony outside room. Only cutlery/crockery is a few mugs, teaspoons and some knives. Ordered takeaway from Curry Leaf to be told it’s a 20 minute wait, rocked up 20 mins later and then had to wait another 30 minutes!!! To make matters worse, someone who came after me also got their meal before me. Could not guarantee a portacot, despite my request months earliee and was told “it’s a long weekend, so we can’t guarantee it, so bring your own just in case “ we formed out $49 only to discover they’d supplied one. Thank you for taking the time to review your stay. 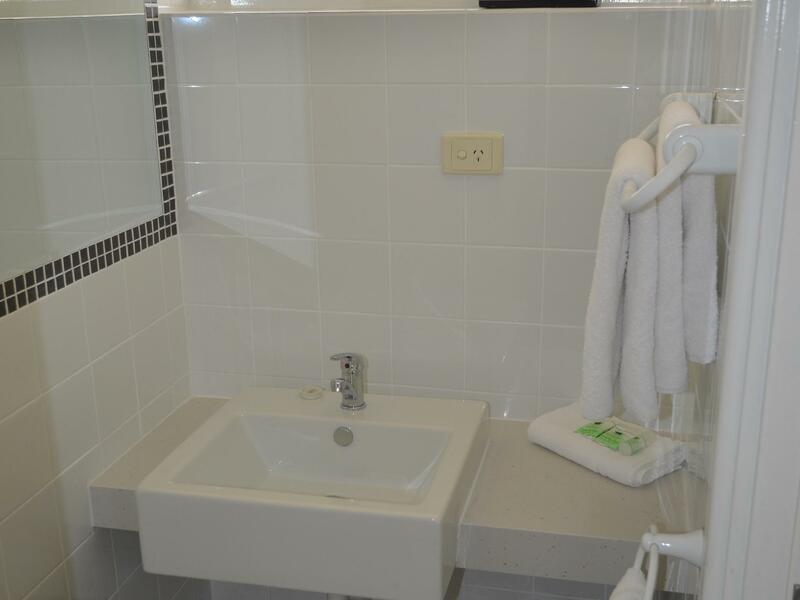 Our motel rooms are not self catering, therefore only have a microwave, toaster and coffee and tea making facilities provided. We provide mugs, teaspoons, bread and butter plates and knives. We have a guest communal kitchen area located at the rear of the property (as marked on the mark provided at check in). This kitchen is provided for any guest that would like to prepare their own meals, require additional crockery and crockery and can be accessed 24 hours a day with your room key. I apologise for the inconvenience caused to you for your meal. The Curry Leaf restaurant, whilst on site, is a separate business to our motel but I would be happy to pass on your feedback to the owner on your behalf. In relation to providing a cot, unfortunately, we only have so many cots so we cannot guarantee one will be available. We apologise for any inconvenience this caused you. We hope you enjoyed your visit to the Albany region. The reception staff is extremely bad service and unhelpful. We booked the family room and the reception staff can’t find the reservation, that should be the problem between agoda and the hotel, but she didn’t give any hand, and ask us to call agoda, even rejected to borrow phone for call, with her poker face. That was so unrespectable and totally wasted our time (as she found the booking at last, means that’s fault of the hotel). The worst experience and hotel my whole trip in western australia! Firstly, thank you for taking the time to review your stay. It is disappointing to read that your experience at check in was less than favourable. Upon investigating, I found that there were several bookings made by you.There were 4 bookings made in total for the same date then cancelled, Oct 7th, then cancelled Dec 5th, 5th Dec then cancelled Jan16th, Jan 17th then cancelled Jan 28th, some bookings over lapped then were cancelled then re made. This did cause some confusion at check in, particularly, as you were stating you had booked with a different website than our records had shown. Our staff member was trying to work through the bookings and cancellations and did established who it was booked through and then proceeded to check you in. Our apology if you misinterpreted her concentration for her being disrespectful. She is an experienced staff member and was trying to resolve the issue as quickly as possible for you. We apologise for any inconvenience caused as a result. Thank you for taking the time to review your stay, we hope to see you again when next in Albany. The only problem for me was my mobility is not good so would have preferred being near to town, Indian restaurant was great and it wasn’t too far to drive to places we wanted to see. Joanne gave us detailed driving route on map and was very helpful and friendly. How pleasing to read your review, we thank you for choosing to stay with us, we hope to welcome you again soon. I was very impressed with our accommodation. The room was spacious and clean and can sleep up to 3 adults. There is tea/coffee facilities, a toaster and microwave in every room. The bedding was very nice and clean. The bathroom unfortunately was not the best, just ok. We loved the fact that there was a huge games room with a pool table and fireplace. The communal kitchen was fully equipped and there was even a bbq to use. Thank you for your review, we are delighted you enjoyed your room and found it clean and spacious. Whilst we have upgraded most of the bathrooms, we still have a few left to do, please know they are earmarked for early in the new year! We are delighted you enjoyed our facilities, we hope to see you again soon. Wow! Thanks for your review, we are delighted you enjoyed your visit, we hope to see you when next in Albany. How delighted we were to read your review, we are pleased you enjoyed your stay and found your accommodation clean, comfortable and quiet. We hope to welcome you again soon. Thanks for choosing to stay with us. The check in was fast and easy. The room is of a good size and clean. Was great to find out we can drive in and park directly outside our room! There was a gym and swimming pool too! Unfortunately we didn't get to use it as it is winter and super cold! We got woken up early in the morning before 8am due to a trailer right outside our room, wasn't too happy about that. But overall, am happy with the stay. It was ideal stop over for long distances drive as it's tranquil environment is good for a night rest. 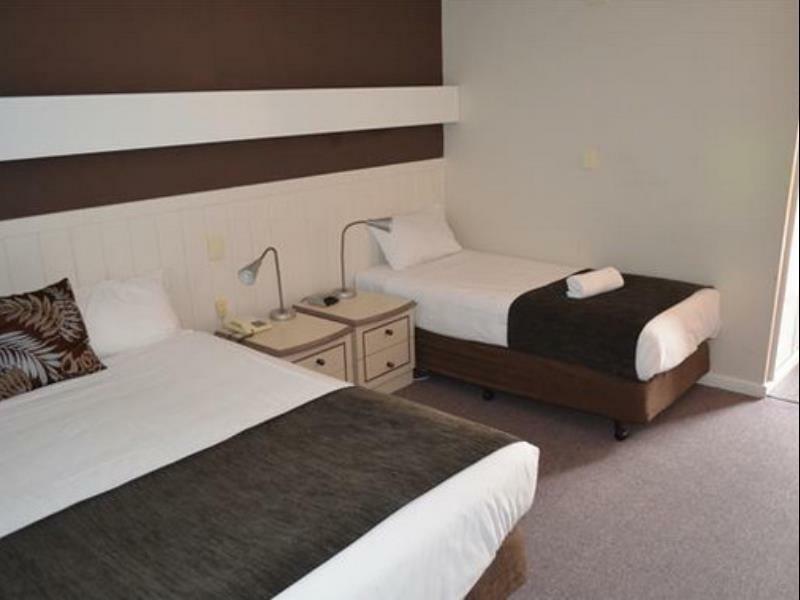 The hotel is not at the centre of town but it's just less than 5 minutes drive away. Parking is right in front of room. No hassle check in and check out is a plus point. Amity Motor Inn is at the bargain end of the motel game in Albany. The rooms have an older feel, older features and some aspects such as the carpets are really showing their age. The pool looked in good condition but I didn't use it. 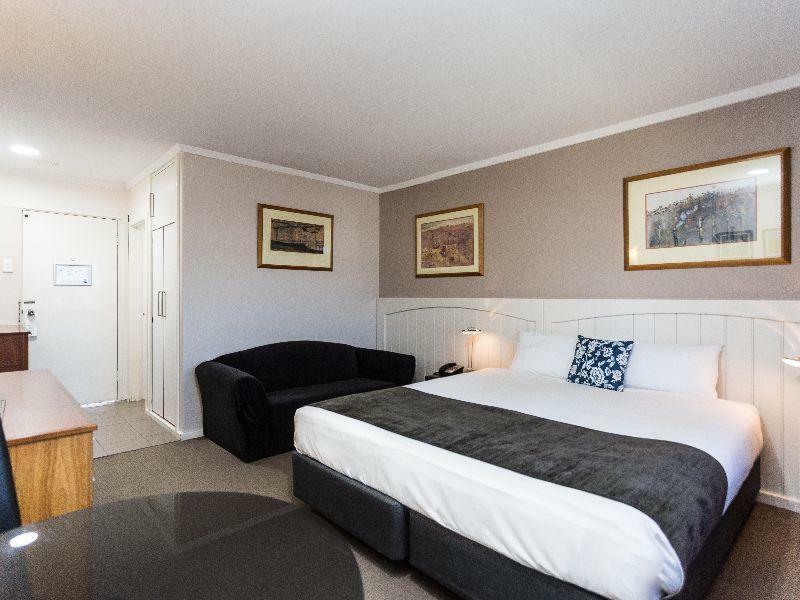 However you get what you pay for and if all you want is a room to crash in while you are sampling the delights of the Albany region then this may be the hotel for you. The rooms, while needing a spruce up, are spotlessly clean. And I mean spotless. The attention to detail of the cleaing staff is excellent. There isn't a tour booking function at the reception desk but they do carry a range of brochurs and the place is just a few blocks out of the centre of the town on the main highway which is a pretty handy location. And the best thing about this hotel? The fact it is the site of the Curry Leaf, a superb Indian restuarant. Given the dining options in Albany are not always inspiring this place is a real boon. A friendly and relaxed hotel that is cheap but functional and certainly worth a look. Thanks for your review, we thank you for your review, we hope to welcome you again soon. We stayed between Xmas & NYE and I guess prices are probably at their highest then, that's why value for money only gets 3 stars from me. We booked 3 rooms and got allocated 3 rooms right next to each other (2 of them interconnecting). That was very thoughtful o the staff. Check in was great and we were given good info on where to head for dinner. Rooms were clean and very adequate. Pleasant surprise that each room had a toaster, kettle & microwave. Beds were very comfy and all slept well (or so they say). Gym on the small side but ok for a little workout and definitely much better than nothing. Location wise it's not too far out of town, but we had some older folks with us, so walking was never an option for our group. Had dinner at Curry Leaf Restaurant once. Food was delicious but service was lacking a lot, unfortunately. We are pleased you found your rooms clean, comfortable and adequate for your stay. We are delighted you enjoyed your meal at our onsite restaurant. We will forward on to the restaurant owner your feedback about the service. We hope you enjoyed your visit to the Albany region. Thank you for your review, we hope to see you when next in Albany. Stayed 4 nights. breakfast was available but only used it once, it was satisfactory. Curry leaf was also satisfactory.. Staff were very helpful and friendly. I hiked most days and on return I just wanted to relax, then crash. The noise from the Curry leaf kitchen and the staff departing at finish time was the only downside I can think of. Other than that all was good, I will possibly stay again. Thank you for your review and your feedback. I will certainly forward your feedback on to our restaurant staff to ensure they are quieter on departing. We hope you enjoyed your visit to Albany. From this accommodation most attractions are in close reach. Thank you for your review, we are delighted you enjoyed your stay, we hope to see you again soon. Good location, clean, and cheap. Thank you for your review, we hope to see you again soon. Great value for money. Staff was friendly and helpful. Very comfortable and clean rooms. Very short drive from town centre. No lift to the 2nd floors though. Thank you for your review, we are delighted you enjoyed your stay, we hope you visit again soon. 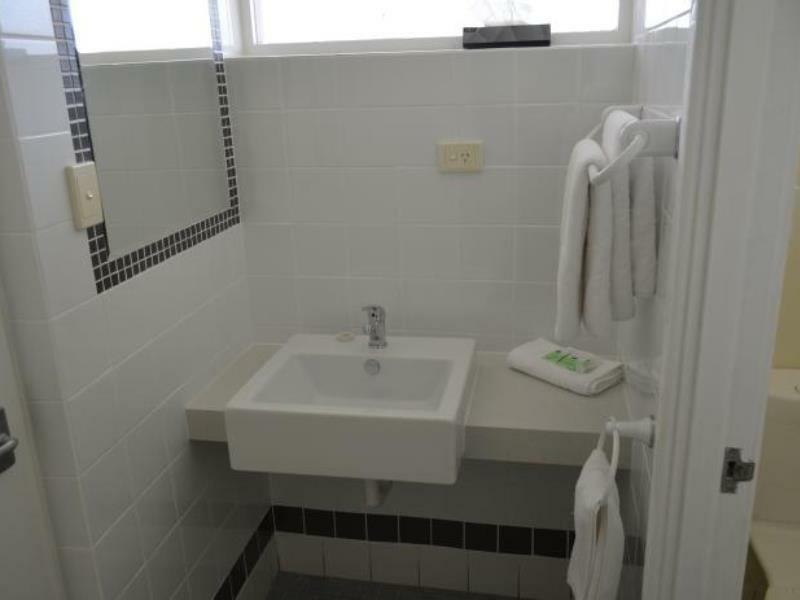 Great location - excellent and friendly staff, good rooms with great bathroom area. Close to town, along with being located near to main roads and also most off shoots of Albany. Pool is clean with decent opening times as well as gym and shared kitchen area. 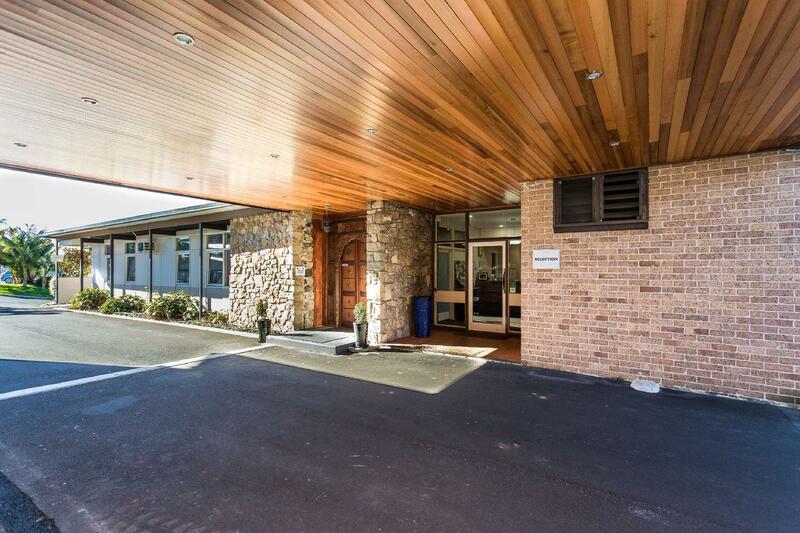 Also has nice lounge/family area and access to outdoor BBQ and woodfire pizza oven. Would definatly go back. Thank you for your review, we are delighted you enjoyed our onsite facilities. We thank you for choosing to stay with us and hope we can see you again soon.